Have you ever had an item scan at a higher price than what was displayed? Maybe you had the cashier adjust the price, or you simply didn't buy it...Well, here is the deal, you could have had it free, or $10 off. 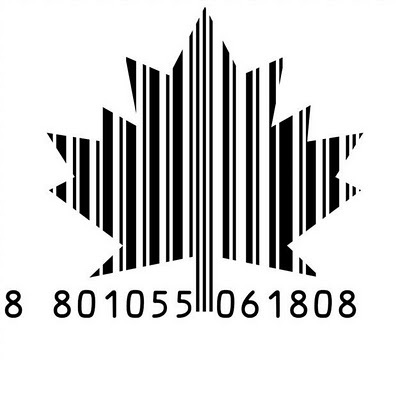 Here you will find the details on the Canadian Scanning Code Of Practice (SCOP). You may not have been aware of this before, but read on to be ahead of the game when it comes to SCOP! It’s a voluntary code of practice that many Canadian Retailers follow. It is meant to ensure that consumers receive accurate pricing based on advertised prices (on shelf or in sales flyers). If the item is below $10, the customer receives the item for free. If the item is priced over $10, the customer receives $10 off the purchase price of the item. SCOP only applies to non-ticketed items. If an item is tagged with a sticker at a lower price this is just corrected at cash, and Does NOT qualify for SCOP. SCOP applies to shelf prices and prices advertised in the store flyer ONLY. Some cashiers are unaware of the scanning code of practice policy and if their retailer participates. You may need to ask to speak to a supervisor or manager. It will likely be up to you to ask for it, the cashier will not likely to mention SCOP if an item rings in at a higher price. This is a voluntary practice in Canada, so not all retailers follow it. Does this only apply after you pay and get your reciept? No, you bring it to their attention at any point during the transaction (after the item scans incorrectly)and they are supposed to give it to you. So what you&#39;re saying is even if they know about it, you still have to ask, otherwise they will only refund you the difference? So what do you say? no if it scans wrong, you mention it and they are supposed to give it to you free or $10 off…it scanned wrong, you caught it, not them. Yes, you will have to ask for it. 99% of the time the cashier will not mention it, just correct the price and move on. They are trained not to mention it unless you ask. 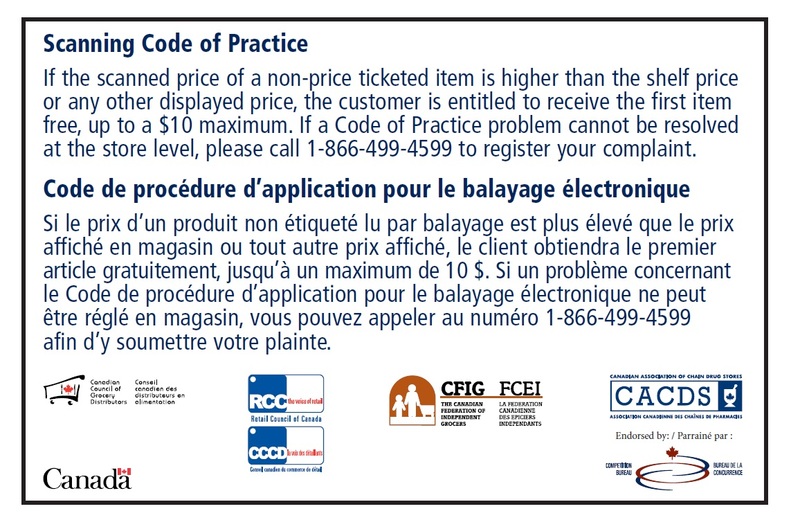 Reason YOU have to ask for it is, per SCOP:<br /><br />&quot;1.1 On a claim being presented by the customer, where the scanned price of a product at checkout is higher than the price displayed in the store or than advertised by the store, the lower price will be honoured;&quot;<br /><br />Key word: CLAIM.